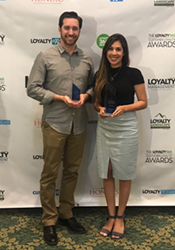 GameStop, the world’s largest video retailer and Brierley+Partners, the global loyalty and CRM leader, were among the winners that were announced at the 2018 Loyalty360 Customer Loyalty Awards in Orlando. The 2018 Loyalty360 Customer Loyalty Awards recognizes brands that build lasting and loyal relationships with their customers across a spectrum of industries. According to Loyalty360, the award process included more than 150 submissions from over 100 unique brands. GameStop – now in its third consecutive year of taking home awards at the expo – continues to shine as industry leaders in customer loyalty and employee engagement. The company took home awards for Top Ten Best Program, Top Best Marketing Team and placed Gold in the Employee Engagement category. Brierley was also recognized and awarded bronze for their partnership with GameStop in the 360-Degree Award – the Best Vendor/Supplier category. This category recognizes solution providers whose clients had the best combined performance across all categories. "We are so proud of the successful relationship that we have had with our GameStop partner for the past eight years. GameStop continues to evolve and innovate for their consumers while leading their ever-changing industry. We are so thrilled that they continue to be recognized as trailblazers in customer loyalty with their best-in-class PowerUp Rewards Program,” said Nicole Fleiner, Senior Managing Director, Chief Customer Officer.